First published in The Peak November 2008. Simply put, this collection of short stories is pure pleasure. The characters and their situations are so real that by the end of each story youll feel like you know everything about their life. Rebecca Rosenblum has managed to capture the essence of everyday life through the lens of various unique and well-defined characters. From the girl who can barely understand English working in a Vietnamese restaurant to the boy who lives in a burnt-out shack, these lives resonate off the page with stunning authenticity. All the relationships portrayed in these 16 stories are confusing, heart-wrenching, or tragic, and all of them cause the reader to empathize greatly with the protagonist. ContEd tells the story of Isabel, a waitress who takes a night school tax class. She thinks she has a thing for the instructor, Mr. Denby, but maybe she just wants to have a crush on someone or maybe it is the girls at work that want her to. Linh Lai is a girl who has been sent to live with her Uncle in Toronto and given a new name. She is now called Jinny, an excellent Canadian name. Her new boss at Pho Mi 99 gives her a name tag that says Xing which is supposed to be unpronounceable in order to satisfy the customers. When Linh/Jinny/Xing finally talks to the cute skateboarder, he calls her Jimmy. Her helplessness in her new environment is portrayed exceptionally by Rosenblum. Jamesy is probably the most tragic character. In Wall of Sound he is depicted as a hobo and loyal grandson in one. He must squeegee windows on the highway to buy his breakfast, but he never lets his grandparents know, and faithfully does their yard work before taking advantage of their shower. Some of the stories have overlapping characters or settings, making them feel less isolated from each other and giving the book more cohesion. Pho Mi 99 is the focal point of a few stories, but each has different characters and new points of view which make these stories all the more inventive and wonderful. After Linh Lai is only the waitress (a background character) in one story, she becomes the protagonist in another. The Canadian setting and perspective is a nice change, and the realism of the characters and their lives makes these stories stand out as some of the best Ive ever read. 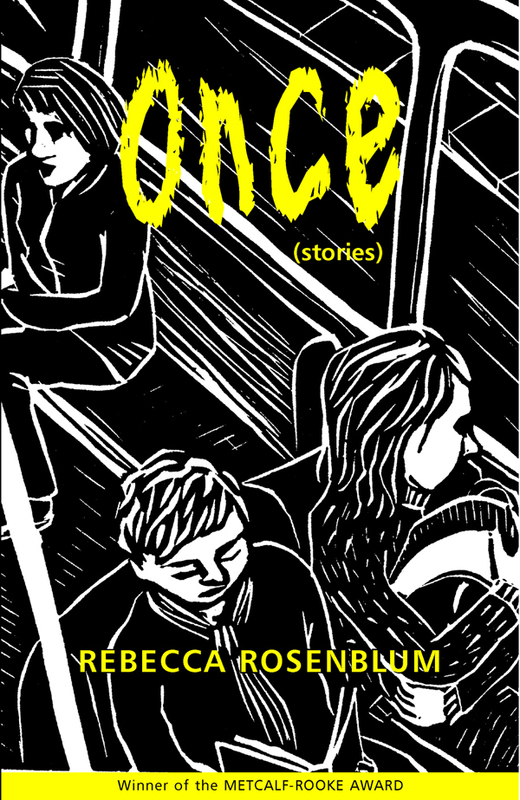 Rebecca Rosenblum uses dialogue, everyday settings, and mundane events to create evocative and genuine characters that people will relate to. These stories start in the middle of life and end there as well; they show the lives of these characters unapologetically and without judgement. One would not think that the daily activities of a fruit factory or tech support department are all that exciting, but when Rosenblum writes about them, they gain a whole new level of meaning and interest.